This stellar assembly, a globular star cluster called NGC 6397, is one of the closest such clusters to Earth. The new measurement sets the cluster's distance at 7,800 light-years away, with just a 3% margin of error. Until now, astronomers have estimated the distances to our galaxy's globular clusters by comparing the luminosities and colors of stars to theoretical models, and to the luminosities and colors of similar stars in the solar neighborhood. But the accuracy of these estimates varies, with uncertainties hovering between 10% and 20%. To obtain the precise distance to NGC 6397, Brown's team employed a clever method developed by astronomers Adam Riess, a Nobel laureate, and Stefano Casertano of the STScI and the Johns Hopkins University, also in Baltimore, to accurately measure distances to pulsating stars called Cepheid variables. These pulsating stars serve as reliable distance markers for astronomers to calculate an accurate expansion rate of the universe. 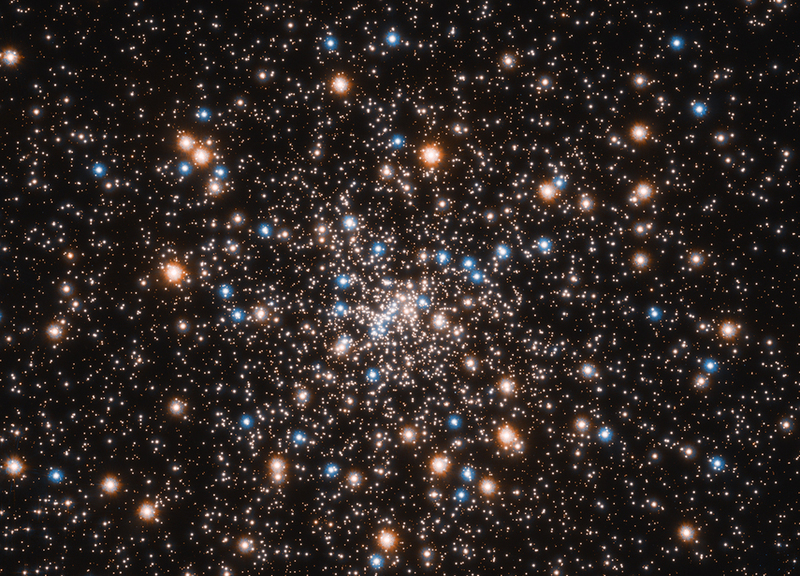 With this technique, called "spatial scanning," Hubble's Wide Field Camera 3 gauged the parallax of 40 NGC 6397 cluster stars, making measurements every six months for two years. The researchers then combined the results to obtain the precise distance measurement. "Because we are looking at a bunch of stars, we can get a better measurement than simply looking at individual Cepheid variable stars," team member Casertano said. The researchers say they could reach an accuracy of 1% if they combine the Hubble distance measurement of NGC 6397 with the upcoming results obtained from the European Space Agency's Gaia space observatory, which is measuring the positions and distances of stars with unprecedented precision. The data release for the second batch of stars in the survey is in late April. "Getting to 1% accuracy will nail this distance measurement forever," Brown said. Reference: "A High-Precision Trigonometric Parallax to an Ancient Metal-poor Globular Cluster," T. M. Brown et al., 2018 Mar. 20, Astrophysical Journal Letters [http://iopscience.iop.org/article/10.3847/2041-8213/aab55a, preprint: https://arxiv.org/abs/1803.02927].